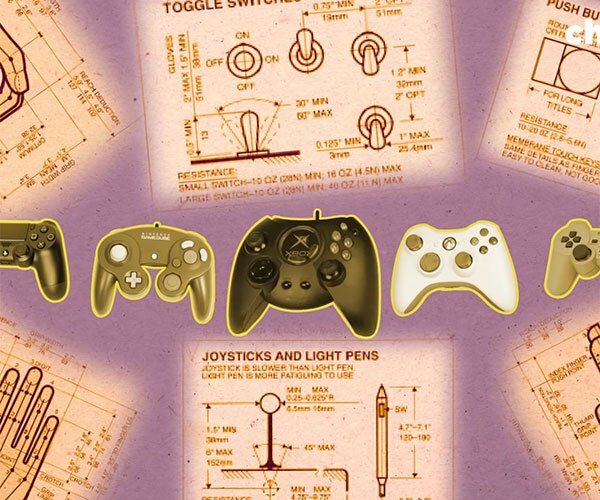 Geeky is as geek does I always say. 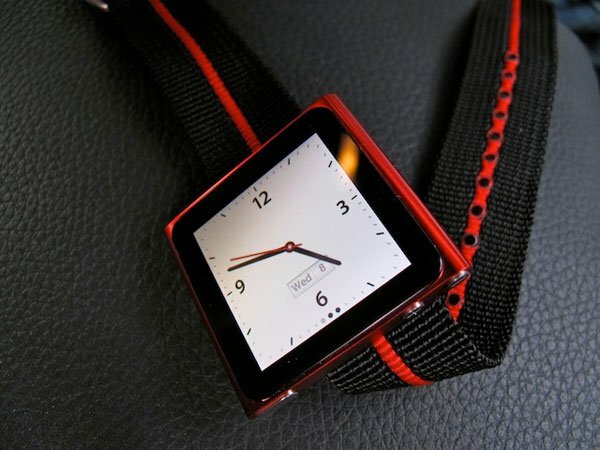 If you really want to show off your new iPod nano and prove to the world that you are geek, what you need to do is turn your new nano into a massive square wrist watch. 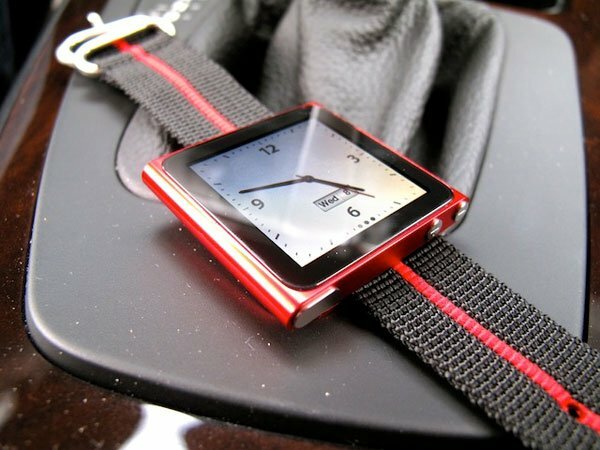 Having your nano on your wrist would also be a decent way to listen to your tunes while you exercise as well. A company called CountryComm has some watchbands that are 22mm thick that can fit right through the pocket clip on the nano turning the thing into a large and sufficiently geeky watch. The bands come in a variety of colors and widths, but 22mm is the magic number for the nano. A 22mm band like the red one in the pics here will set you back $17 (USD). The company also has a lighter case that will hold the nano if you want the thing on your belt. 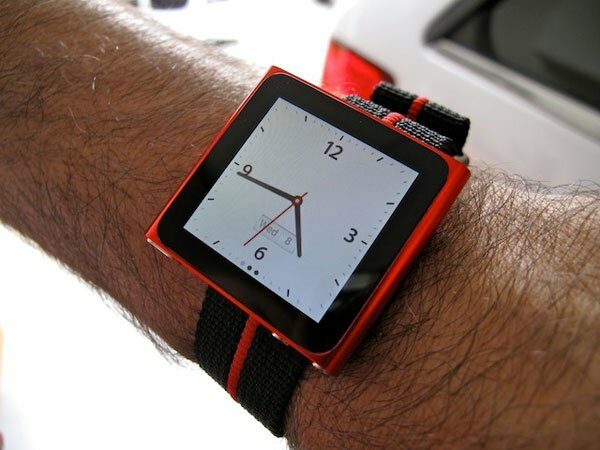 I will say that the idea is cool for a nano watch, but coming from a person that hasn’t worn a watch I years, the nano looks huge on the wrist.